A Good Time for a Great Cause! 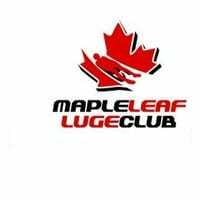 SAS Calgary would like to invite you to be on our team at the MLLC’s Annual Patch For Luge fundraiser to support aspiring Olympic Luge Athletes! This is your chance to compete in the sport of Luge! No experience necessary at all, just be ready to have some fun! Join us at the Canada Olympic Parks 1988 Olympic Luge Track where, with an Olympian as our coach we will be completing the last 5 corners of the track for the fastest combined time after two runs. In between runs we will be able to stay warm during a tour of the National Team Sled Making Facility. Dinner and an award ceremony will finish up the day!